The greatest shows, most exciting racing festivals, shiniest concours, for everything from Veterans and Vintage to modern classics and supercars. See you there? Informal car gatherings don’t get much better than this. The sublime Bicester Heritage opens up to the public, with the chance to meet the 30-plus specialists now based on the restored former World War Two bomber base. Thousands turn up, and you’ll see all manner of machinery. Plus, new for 2018 will be the AutoClassics cars for sale area, where you can sell your classic (or buy a new one!). Can’t make it? Try a Goodwood Breakfast Club meeting. Now in its seventh year – but 2018 will be the first one since Motorsport Vision took over at Donington, so expect what was already an excellent event to rise a few notches. Great racing, and it’s still possible to get close to the action for spectating at the wonderfully sweeping Donington Park circuit. Club displays, autojumble and paddock action add to the appeal. Can’t make it? Try the Oulton Park Gold Cup. Let’s take a punt on this one… It’s a one-off, to celebrate the 70th anniversary of the Jaguar XK120, as well as the famous six-cylinder XK engine that powered it – and went on to power Jaguar and Daimler road and race cars right through to the 1990s in some cases. We think it’s going to be huge, seeing as there are more than 600 classic Jaguars of all types from all over the world already confirmed, plus timed and demonstration runs on the challenging Shelsley Walsh hillclimb. Star appearances by former Jaguar engineers, and TV star Edd China, are further attractions. Can’t make it? The best annual one-make event for us is MG Live. There are so many Brooklands events, and so many reasons to visit Brooklands – the UK’s first purpose-built motor sport track. The Brooklands New Year’s Day Meeting is a brilliant start to the year, but there’s more going on at the Double Twelve, including the chance to tackle the famous Test Hill. Savour the banking, the demonstrations on the Mercedes-Benz World track, the museum displays and the newly revealed start-finish straight. Can’t make it? Flywheel at Bicester Heritage also unites cars and ’planes. This is special. The Vintage Hot Rod Association runs a series of time trials on the hallowed sands, scene of numerous land speed record attempts, for pre-1949 hot rods and customs. Many break the 100mph barrier, which is some going on the sand. Racing starts around 11.30am – it’s all at the mercy of the tide – and spectating is free, although you’ll need to pay £3 to park on the sands. Remember, this is where Campbell broke records, and you may have seen the beach on TV when Guy Martin achieved 112.9mph on a bicycle there. Can’t make it? Switch to two wheels, for the madcap Mablethorpe Sand Racing events throughout the year. This is as much modern car as classic, with current F1 and WRC racers mixing it with the historics in action on the hillclimb and the slippery chalk surface of the rally stage. One day really isn’t enough, and there’s nowhere else you’ll see such a wide range of truly iconic machinery. It’s become the replacement for the British Motor Show, with manufacturers investing heavily – and this year it celebrates 70 years of Porsche. Can’t make it? 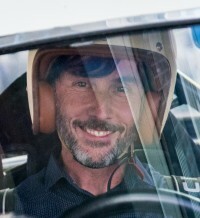 How about Chris Evans’ CarFest South and North events? Never been to a drag-racing event? Then this is the one. Love drag racing? Then you’ll see all your old favourites here. Some of the most legendary drag racers of the past 50 years traditionally appear at Dragstalgia, and you can get up close and personal to them in the paddocks. Teams come from all over the world to run their mad machinery, cars and bikes. Can’t make it? Try the VHRA Vintage Nationals at Santa Pod. It’s early days for this, and it needs to grow some more – but it’s great fun, and a wonderful antidote to the exotic machinery we see at so many of the big events. Insurance company Hagerty UK has taken the concept from its American parent company’s brilliant Concours d’LeMons, which is truly one of the great US events, celebrating the once-run-of-the-mill base models and enjoying the absurdity of the motor industry’s biggest failures. Can’t make it? The Bromley Pageant of Motoring is another great grassroots event. The world’s biggest classic motor-racing festival. And that’s big! More races, larger grids, more attractions than any other circuit-based classic event, anywhere – and even big-name bands on the Friday and Saturday evenings, including UB40 this year. Funfairs, an auction, open access to paddocks at both the F1 Wing paddock and the old paddock, over 100 car clubs, manufacturer stands, live stage shows... there’s a lot! Be sure to study the programme – and catch a bus between the two paddocks, or you’ll miss out. Can’t make it? Try the excellent Castle Combe Autumn Classic. So many events aim for the ‘motoring garden party’ feel, but this one really achieves it. One of many superb Vintage Sports-Car Club events, and our favourite, thanks to its location at the Prescott Hill Climb, home of the Bugatti Owners’ Club. Great hillclimbing action, fantastic pre-war cars, open-to-all paddock access and the most relaxed atmosphere you’ll come across. There’s even a pedal car race! Can’t make it? Chateau Impney’s hillclimb event is fast becoming as good. There are surprisingly few affordable, open-to-all, true concours d’elegance events in the UK. Not concours as in the most immaculate version of any car, but concours as in the absolute greats of the car world: the coachbuilts, the one-offs, the limited editions. The Concours of Elegance has been doing an annual round of Royal palaces, but has settled on a five-year residency of King Henry VIII’s remarkable Hampton Court Palace. Visit it – you won’t be disappointed. Can’t make it? Try Salon Privé at Blenheim Palace. English eccentricity at its best. In these days of eBay you wouldn’t think there would be a place for a huge autojumble, but Beaulieu blows that idea out of the water. More than 2000 stands, a large classic cars for sale area, a Bonhams auction of restoration projects – and, of course, the wonderful National Motor Museum and the beautiful surrounding New Forest as an added attraction. Nowhere else will you find such a remarkable variety of classic car and motorcycle spares and automobilia for sale. Spend the weekend there; you’ll love it. What can we say? It’s not cheap, it’s crowded, but it’s utterly sublime. Historic racing at its best is at the core of the Revival, but you could have a wonderful weekend there without even watching the on-track action. It’s like a huge set, everything set in pre-1966 – right down to the mock Earls Court – and the majority of visitors dress in period style. Racing, paddock access, sideshows, stalls and a Bonhams auction – we say it’s the best classic event in the world. For the finishing touch and special parking area, drive there in a tax-exempt classic of any type. Can’t make it? Only the smaller, more exclusive Goodwood Members’ Meeting comes close. On the face of it, standing around in the cold to watch 400-odd pre-1905 cars trundle pass doesn’t sound much fun. But my goodness it’s wonderful. The sheer variety of the cars – some of them steam powered, all to wildly different formats and designs – and the characters involved make for a great spectating, from the early start at Hyde Park, via the halfway stop at Crawley, to the triumphant finish on Brighton’s Madeira Drive. Of course, you might be lucky enough to have an eligible car to drive, but there are also places on classic buses available. Don’t forget the free Regent Street Motor Show the day before the run. Can’t make it? There’s always the smaller VCC Creepy Crawly rally. It’s November, it’s rather cold for classic cars, but the ever-increasing quality of the long-established end-of-season indoor show at the Birmingham NEC means you can see the year out with a bang. It’s not the most salubrious venue, but exhibition halls rarely are, and it’s made huge steps forward in terms of food and onsite accommodation. This is traditionally a club stand and autojumble event, but the addition of live restoration demonstrations, stage events and celebrity appearances has made a huge difference. Can’t make it? The Bristol Classic Car Show is the south-west’s equivalent.